CNN's inauguration coverage was an extended existential crisis about how not to normalize Trump and still be CNN. 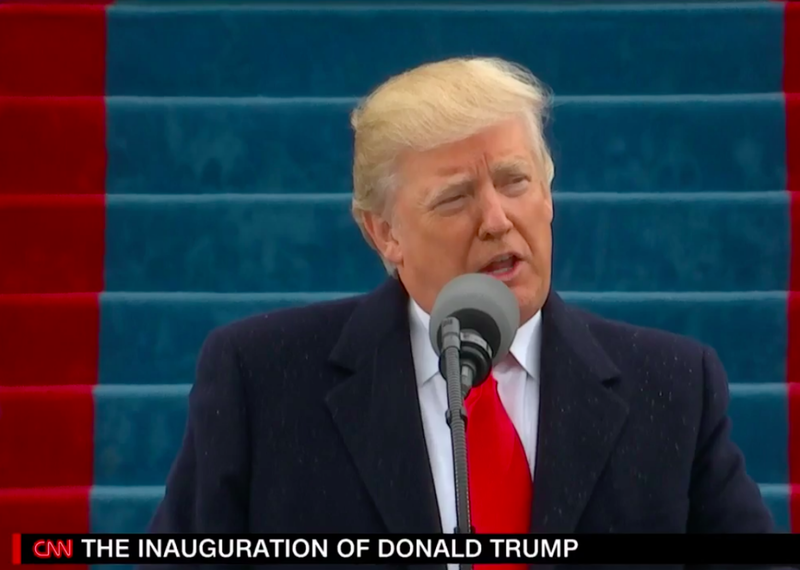 CNN was desperately concerned with not being seen to either normalize or … abnormalize Trump’s inauguration. But CNN’s inauguration coverage was intimately concerned with normalizing, or rather with not being seen to either normalize or, for lack of a better word, abnormalize. In an incredibly polarized political and media environment—CNN was called “fake news” by Donald Trump just last week—CNN covered the inauguration like someone trying to thread a needle with trembling hands. Pretending everything was normal was not a viable option. But, for a nonpartisan news network, neither was constantly beating the drum about how abnormal everything was. So CNN ended up somewhere odd: desperately focused on the inherent dignity and value of the inaugural traditions, praising the peaceful transfer of power as though we were Gambia and not a country that has been successfully doing this for 200-plus years. CNN didn’t treat the trappings of the inauguration like some grand, fluffy soiree—it talked about them like they were a life raft. Coming so quickly after Trump’s speech, which stated explicitly that everything was not fine, that we were beset by “American carnage,” living in an apparent wasteland of hollowed-out factories, lost promise, and gang violence, this could be construed as normalizing—but it played more like desperate soothing. All you need is a heartfelt lecture from Andrea Mitchell about how this is what our forefathers wanted, the transition of power without tanks in the streets, when you’re a little worried about tanks in the streets. With time, CNN got into a more critical, if bloodless, conversation. The speech, they said, was missing even any semblance of an olive branch to the other side, to Hillary Clinton, to women. It painted a vision of America that was dark and pessimistic and at odds with statistics. It had Trump supporters booing Chuck Schumer and saying things Tapper “wouldn’t say on television” (“lock her up”), despite the fact that Trump has contributed to Schumer’s campaigns in the past. But neutral as its panelists tried to be, CNN had already communicated its deep underlying anxiety about the new normal and its fantasy that tradition and protocol might be able to keep the abnormal away.